Just wanted to stop in and wish everyone a Happy Thanksgiving. I hope you are all having fun with family, friends and others during this thankful time!!!! Also, wanted to post an update picture of the knitted baby blanket. I have 2/5 rows done. I love the way knitted blankets look and feel... but.. I am an extremely slow knitter!!!! in an hour i get about 5 to 6 rows done... and each block is 40 rows..
so... doing the math.. it takes about 8 to 9 hours to complete a row of blocks..
while completely mixing the cake by himself. and being thankful for everyone and everything in my life. 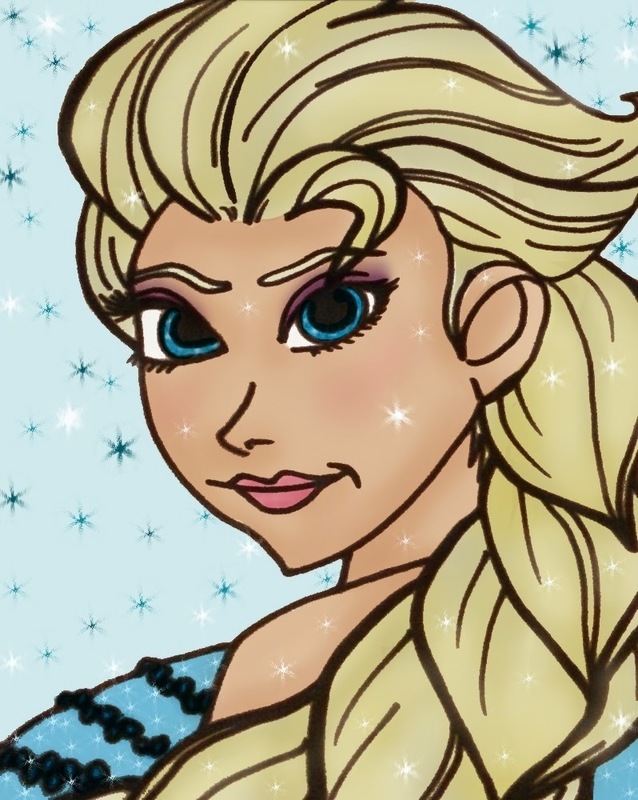 I so love that coloring of Elsa!! The more you get done on the blanket, the more I like it.